Product prices and availability are accurate as of 2019-02-28 14:45:30 EST and are subject to change. Any price and availability information displayed on http://www.amazon.com/ at the time of purchase will apply to the purchase of this product. Sleek Design - Upgrade your bathroom with Luxe Bidet's beautifully designed bidet attachments, featuring chrome-plated water pressure and temperature control lever for a more elegant look. 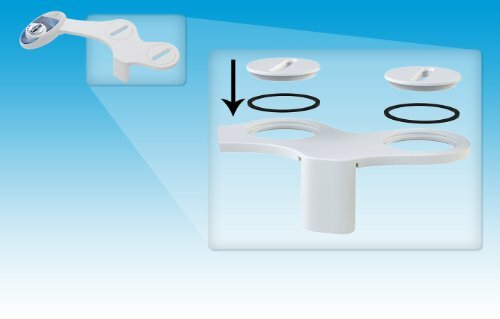 High Quality Parts - We use high quality parts that are built to last making Luxe Bidet an excellent value for the price. 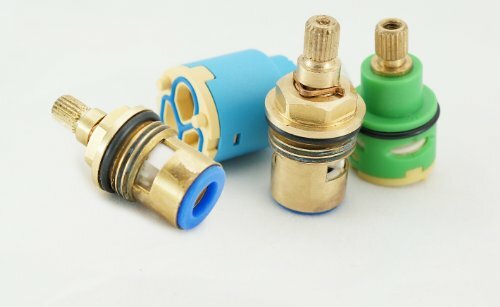 Constructed with high-pressure faucet quality valves with metal/ceramic core, metal t-adapter, and a braided steel cold water hose instead of traditional plastic. The hot water hose is made from a durable polyurethane hot water hose that can be trimmed with a utility knife to exactly fit your bathrooms dimensions. 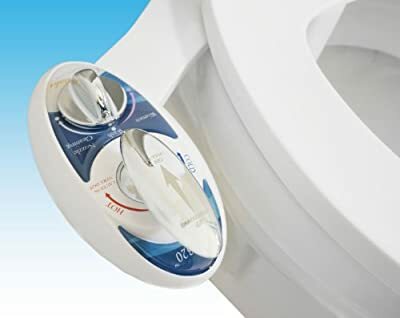 Quick and Easy Installation - Includes everything you need including tools to get your bidet up and running in minutes. The bidet connects directly to your sinks hot water supply and mixes with cold water to deliver your level of warm water enjoyment. 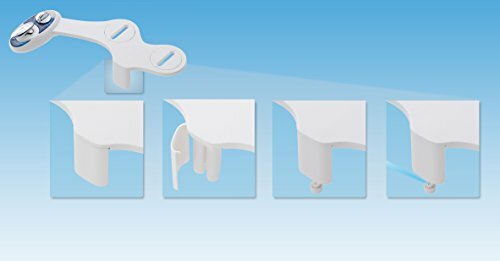 Easily attaches to and detaches from any standard two-piece toilet. Feminine Wash & Ultimate Sanitary Protection - Equipped with dual nozzles for rear and frontal wash. The frontal or feminine wash is gentler than the rear spray. It can be useful for monthly cycles and is highly recommended by new or expecting mothers. Self-cleaning feature sanitizes the nozzle and retracts when not in use for maximum protection. 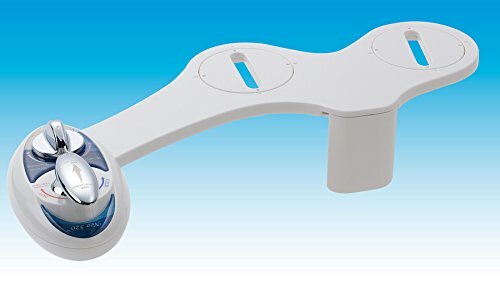 The bidet also features a convenient movable nozzle guard gate for extra protection and easy maintenance. Warranty & Service - Bidet includes an 18 mo. warranty and free extended warranty when you register your bidet online. We provide full customer support anytime you have questions or concerns.